Canvas - Designer Louis Vuitton Reviews, Tips, Guides and Shopping. Before the Wright Brothers were the first in flight and Karl Friedrich Benz engineered the first petrol automobile, travelers in horse-drawn carriages, boats, and trains longed to find durable yet stylish trunks to accompany them on their travels. When 16-year-old Louis Vuitton began working with admired custom box-maker, Monsieur Maréchal, in 1837, his craft quickly obtained high-regards amongst Parisian travelers. After 17-years of customizing boxes and trunks at Monsieur Maréchal’s Parisian atelier, Vuitton opened his own shop near the Place Vendome. Stylish, iconic, and durable, Louis Vuitton’s monogrammed "LV" and Damier collections remain some of the most revered handbags and luggage around the world. When saw this bag and its name, we were like: ‘what?’. You see, Louis Vuitton has already introduced the ‘Lockit Bags’ and the shape is so different that this version of ‘Lockit’. So we were stunned and confused. Crafted in the Classic Monogram Canvas, with the iconic LV Lock and Torron handles. The bag also features a padlock with the house’s signature engraved. The interior is made with interior zipped pocket and Blackberry pocket, but you can also find one large space to store your essentials. With a feminine shape, nice size, this bag can be used as an everyday bag. Measuring 15’ x 12.2’ x 6.7’ inches (L x H x W), priced at $3150 USD, £2080 GBP, $26200 HKD, $4050 AUD ¥374760 JPY via Louis Vuitton boutiques. Louis Vuitton Shiny Monogram Fetish Lockit PM in great condition. The icon itself reinvented in the glossy and glamorous Monogram Fetish Canvas, but still keeping its charm and timeless silhouette. Monogram Fetish Lockit features a patent Monogram canvas covering on the handles, padlock and key bell, a refined resin zipper pull, ivory stitching threads and edge dying, and an interior zipped pocket. Louis Vuitton has some beloved “big hit” bags like the Neverfull tote, Speedy Bag, Alma bag, and a few other honorable mentions that could easily make the “it” bag list. However, most of their largely successful and more popular styles are older creations. Newer LV bags like the Capucines, Petite Malle, and City Steamer are beautifully designed and well-received, but they still haven’t truly crossed the bridge of becoming “it’ bags and classics yet. The brand’s newest creative director, Nicolas Ghesquière, has produced many stunning bags over the past couple of years, and one in particular is bound to take off soon. Louis Vuitton seems to be setting the stage for their next big star: The Louis Vuitton City Cruiser Bag. A few months ago, we saw a real-life glimpse of the City Cruiser Bag after the Fall 2016 runway show. Celebrities like Selena Gomez and Taylor Swift were spotted with the bag, but very little details were made public about the new silhouette at the time. Designer brands use many different tactics like celebrity endorsements and big campaigns to bring attention to bags that they want to blow up in popularity. For example, Prada launched a huge marketing and merchandising plan to build hype around the Prada Inside Bag. Likewise, Louis Vuitton was probably relying on the help of big names like Selena Gomez and Taylor Swift to peak curiosity about this interesting, new LV creation. Now, the City Cruiser bag is available in Louis Vuitton boutiques and PurseBop is here to share a few details! The City Cruiser Bag is inspired by Louis Vuitton’s original Cruiser Luggage Bag. At first glance, the City Cruiser Bag kind of looks like a makeup train case or mini travel bag. The “suitcase look” gives the bag a sporty, casual element, but it is still very sleek and elegant. The bag also features a zipper pocket on the outside, internal pockets, and a detachable strap for shoulder or crossbody wear. Solo pictures do not do this bag justice. See the Cruiser City bag in action to really get an idea of how this bag carries! In an accessories market where it seems like every new bag feels frustratingly familiar, Louis Vuitton took this opportunity to play directly to its own history instead of current trends. The bag’s shape and structure are based of the long-running Louis Vuitton Cruiser luggage design, and the shrunken handbag version does indeed look like a little suitcase. Right now, the only two options available are the PM version of the bag in mostly monogram canvas. The option with leather trim, which is what you see on Taylor and Selena above, is priced at $3,650, while the version with contrasting monogram trim will set you back $3,400. Both are available via the brand’s website and boutiques. Ok, first the disclaimer. This blog post’s title isn’t going to be completely accurate since Louis Vuitton didn’t technically release a new collection of Monogram Canvasbags or SLGs. Instead it’s a selection of Pre-Fall 2016 bags that feature in such part LV’s iconic monogram pattern which I wholeheartedly, unabashedly, love. 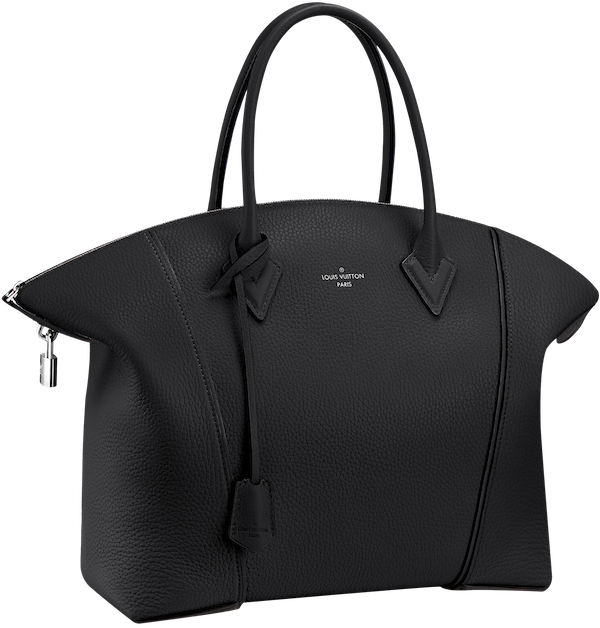 First up, the City Steamer which is basically to Louis Vuitton what the Diorever is to Dior, their respective takes on the structured tote topped with a pair of short top handles. Simply known as the one with the ‘Jacket Painting In Black And White‘, this ‘mixed material’ City Steamer is part-Monogram Canvas and part-studs with banded stripes in Black and White. Priced at SGD5800, I do have a feeling this would appeal to the boys who really love their Louis Vuitton more than the womenfolk that it was originally intended for. Next up, the Twist, which is THE one Louis Vuitton is pushing to be their IT bag. With a cleverly designed clasp that’s resembles its own logo when it’s in the ‘locked’ position, you twist it counter-clockwise till the LV becomes VV and voila, the bag opens (no prizes on how the Twist got its name). These 2 are also my personal favourites, the one of the left given the same treatment as the City Steamer you saw earlier (SGD5500), while the one on the right (the Twist MM Coin Studs as it is called) comes with a beautifully banded LV clasp inBlack/Blue/Orange (SGD6250). Both are in MM size, which makes them 23 cm by 18 cm by 8 cm, for those who need to know how big they are. Finally, the one bag from Louis Vuitton that still makes my heart skip a beat whenever I lay eyes on it. Here is this season’s Petite Malle with ‘Jacket Painting‘, a racy, sporty number with the painted stripes and a matching clasp that’s has the same corresponding colours on the enamelled clasp. Retailing for SGD7900, this one is also the one to get IMHO. Still very Louis Vuitton, still with the Monogram Canvasdetailing but given an update with the stripes that won’t go out of style anytime soon either. The iconic Monogram Canvas gets a little twist again for this season. The French fashion house decides to mix it with the most-recent ‘Jungle Dots’ print to create and wild and cool look. The Jungle Dots Collection is purely made for the spring summer, which is why it’s also called the Palm Springs Collection. The Palm trees are carefully painted in pink and placed behind the red-bold dots. The pattern is refreshing and joyful, the dots evokes wild and tropical animals passing through the palm leaves. The print is very feminine and perfect for a trendy bright summer style. This print is featured on iconic handbags like the speedy bag but as well as on small accessories like wallets. We’ve even spotted the wallet on chain. While Louis Vuitton made the Palm trees pink, there’s also another color available – green. So green Palm trees adorned with monogram canvas. I am not sure whether this style is practical for all seasons, but its certainly qualified for the summer. Oh and they even painted the Palm trees in black with the recently-introduced infrarouge Monogram Canvas. The color Infrarouge looks dangerous but cool. Louis Vuitton has come up with another fashion forward statement with its Blue Monogram Canvas Bag Collection. The LV Monogram canvas bag was given its much needed make over by adding a fun splash of blue to it. That gorgeous blue monogram canvas print looks absolutely flattering as it complements your unique fashion taste. Add a touch of color to your office outfits with this LV blue monogram canvas bag as it goes will your overall ensembles. Rich in history and significant in all its angles, the Monogram was lovingly handcrafted by Georges Vuitton, in honor of his later father Louis. As they often say, the rest was history as a bag icon was born and fastforward to 2016, the Monogram proved to withstand the test and ravages of time. Classic, fashionable, and of premium quality, the LV Monogram bag is evolving and embracing the lovely and quaint detail changes it deserve. Now that we spilled the beans, let’s wait for further details about the features, dimensions and price of this new blue monogram canvas bag. We’ll keep you updated once we get first dibs. It’s been some time since I last reviewed a Louis Vuitton bag. I came back to this brand today because Valentine’s Day is coming very fast and the Louis Vuitton Alma MM Monogram Canvas is the perfect gift you could suggest to your boyfriend or husband. Perfectly designed for any fashionable girl it can definitely bring light and joy into your heart and wardrobe for Valentine’s Day and for the entire year. The Louis Vuitton Alma MM Monogram Canvas bag has a very interesting and beautiful story. It has all began in the year of 1930, when Gaston-Louis Vuitton first designed it and named it after the Alma Bridge coming over the river Seine. He managed this way to offer this purse the essence of the Parisian refined taste for luxury and the modern and very practical aspect of a beautiful bag. It is ideal for the contemporary woman that needs it for daily usage, with a medium size just enough to hold the everyday essentials. The body of the LV Alma MM bag is crafted from high quality natural cowhide leather. This sturdy material allows the purse to stand on its own and it makes it look amazing. The LV pattern is present all over the bag, giving it the perfect look of a Louis Vuitton purse. An important detail that I love about this Louis Vuitton Alma MM Monogram Canvas is the way it combines the brown cowhide leather with the cream-colored one. You can see this last one used for the handles, key bell and for the bottom part of the bag. Both these beautiful colors are completed by the gold color hardware that looks beautiful on the bag. The arched shape of this Louis Vuitton Alma MM Monogram Canvas purse and the generous dimensions (14.2 x 11.0 x 6.7 inches)make it the perfect bag for daily usage, no matter how active and unusual your life style may be, you will always have plenty of space for the things that matter to you. At the inside of the Louis Vuitton Alma MM Monogram Canvas there is a beautiful brown textile lining with two smartphone pockets attached. It has a two-way zipper with padlock that makes you rest assured that your belongings are safe into your bag and to avoid any scratches the designer attached four protective studs on the bottom of the bag. The price for the Louis Vuitton Alma MM Monogram Canvas is about $1500. If this seems too much for you, maybe a replica of this model will be a better idea. But as always you’ll have to pay a lot of attention to what you achieve. Make sure you find a trustful vendor that shows the real pictures of the product, has an active customer service and sends the products before Valentine’s Day.